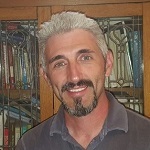 Chris Campbell has a Bachelors of Science degree from WVU, a Masters in Biblical Studies Trinity Theological Seminary, Masters in Professional Counseling from Liberty University, member of the American Association of Christian Counselors, certified associate and staff member of Freedom in Christ Ministries USA, founder and director of Generation Freedom Ministries (postmodern resource for FiCM USA), 20 plus years in pastoral counseling experience. Larry Bell has a B.S.C.E. Fairmont State College, Masters of Science WVU, National Certified Rehabilitation Counselor (CRC), 40 years of counseling experience, private practice since 2002, Certified Walk Thru the Bible teacher and presenter, marriage and parenting seminar innovator, frequent tour group leader to Israel and middle east, currently pursuing Doctorate in Theology. More information available upon request. 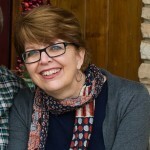 Annette K. Crislip is a Licensed Professional Counselor and a member of the American Association of Christian Counselors. She earned her Bachelor's Degree in Counseling Psychology from Davis & Elkins College and her Master of Arts in Counseling from West Virginia University. She has experience in community mental health as well as the private practice of counseling, and for many years she was a church youth minister. Annette is a founding member of Friends of Fort Liberte, a non-profit ministry dedicated to work in North-East Haiti, and she leads short-term mission groups to Haiti each year. She and her husband have five children. 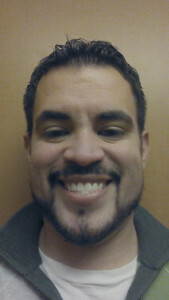 Aaron Medina is a Licensed Professional Counselor and Approved Licensed Professional Supervisor. He earned a Bachelors Degree in Religion as well as one in Psychology from Liberty University, and a Masters of Professional Counseling from Liberty University. He has 10 years of counseling experience in community mental health, acute psychiatric, correctional, and private practice. Chad Boram has a bachelor's degree from WVU and is working towards completing a master's degree in professional counseling through Liberty University. He is currently working through the practicum and internship portions of his counseling curriculum. 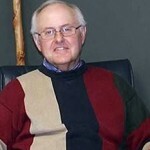 He is a member of the American Association of Christian Counselors. Google Chrome Users: you may need to add the RSS Feed extension. Click here. Excerpt from new smart phone devo: Who do you claim to be? Resolutions Inc. currently accepts Aetna, Highmark, United Behavioral Health/Optum, Cigna and other insurance providers. Payment: Cash and check for payment. In a comfortable and supportive atmosphere, we offer a highly personalized approach that is tailored to meet the individual needs of the client with the goal of personal growth. Click on a title below to open a resource.